The days are long and the nights are short at 50° south at the height of summer, yet nights are when some of the most interesting action happens on islands. The darkness provides some protection from day-active predators like skuas, falcons, and insect-eating birds. And cooler temperatures and higher humidity reduce the risk of soft-bodied animals drying out. Before our visit to the Auckland Islands, we sought permission to stay overnight on several islands, but not to set up camp. Our intention was to work through the night, and to return to the boat when the day shift started (both wildlife and crew). In the event we only did one all-nighter, as our very obliging crew were willing to retrieve us at hours when most people would be asleep. But we were still able to experience five different islands at night. There are more than a dozen vegetated islands in the Auckland Islands, differing in size, topography, vegetation and the extent to which they have been modified. Four of the islands have held populations of introduced mammals. However, following eradication programmes in the early 1990s, these are now confined to the main island only, where pigs, cats, and mice continue to wreak havoc on the wildlife and vegetation. The two most important islands as reservoirs for Auckland Islands’ wildlife are Adams Island (10,119 hectares) and Disappointment Island (395 hectares), neither of which ever had established populations of introduced mammals. 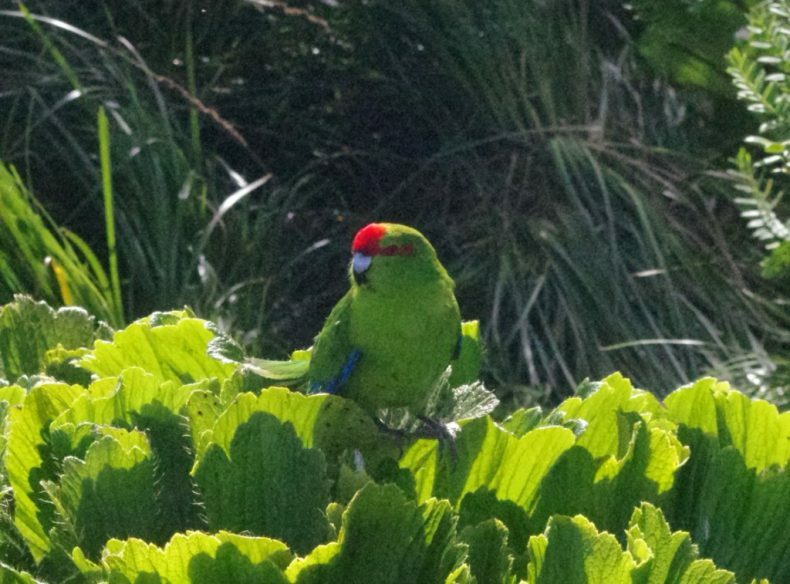 Adams Island’s larger size and more varied vegetation allow it to support several bird species not found on the smaller island, including falcon, Auckland Island banded dotterel, parakeets, bellbird, tui, and Auckland Island tomtit. 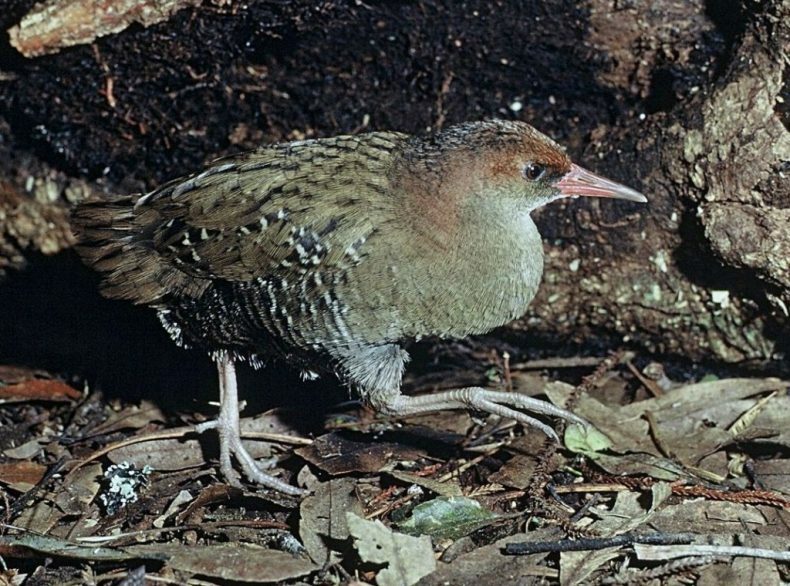 But the two islands hold the only known populations of Auckland Island rail, along with large populations of Auckland Island teal, Auckland Island snipe, Auckland Island pipit, and a wide range of seabirds. A few small islands, including Ewing and Shoe Islands, also fortuitously avoided introductions of mammal pests. Although with less varied terrain and simple vegetation structure, these two little-modified island retained rich seabird and insect communities. In contrast, Enderby and Rose Islands were formerly grazed by farm stock and rabbits, and Enderby also had mice. 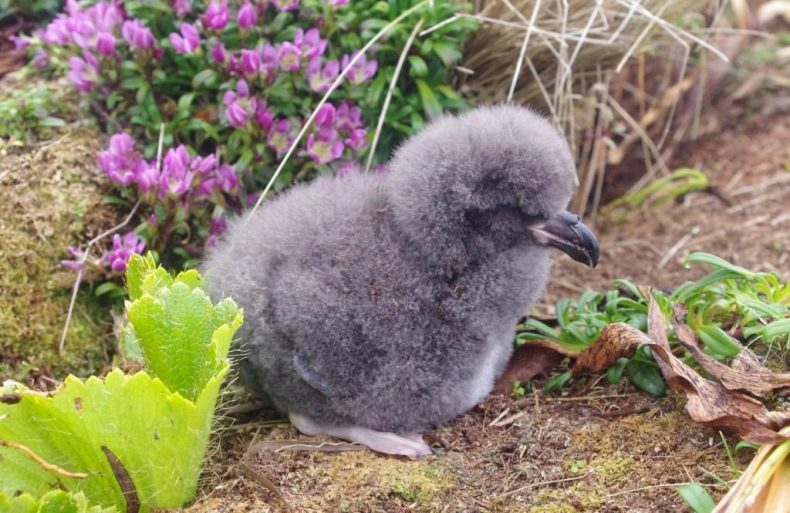 As a result, these two relatively large islands (710 and 75 hectares respectively) have fewer breeding petrels and a less diverse and abundant insect fauna. 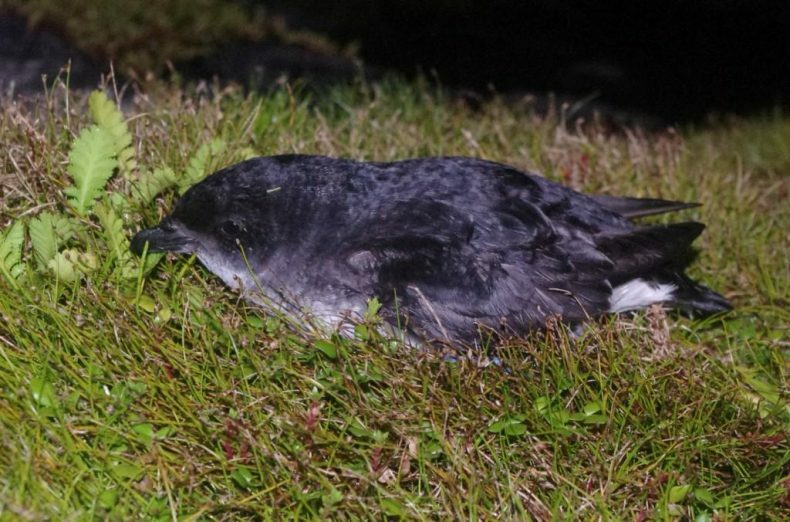 The slow recovery of these islands a quarter of a century after rabbits were removed from both islands, and cattle and mice from Enderby, has been due to the complete extirpation of some insect species, and the slow population growth of all petrel species. 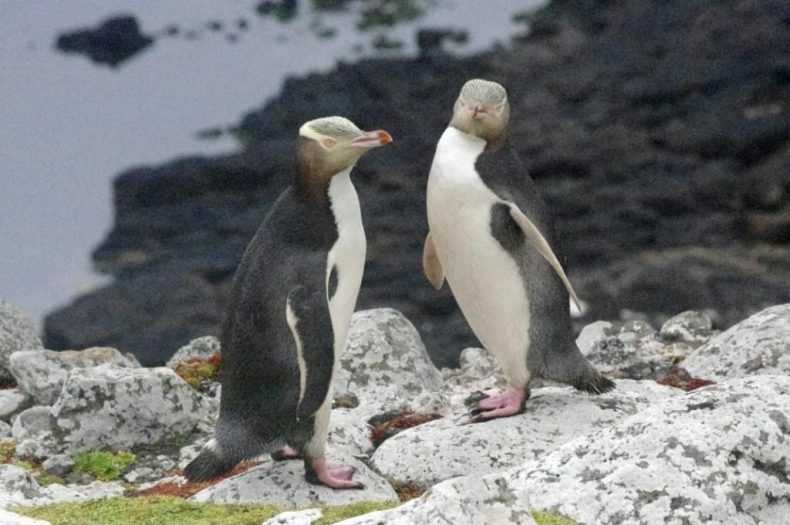 In contrast, land birds recolonised rapidly and/or their resident populations rebounded, so that Enderby Island has abundant wildlife by day, but little happening at night. Large flightless insects are the most obvious group impacted by the presence of mice. 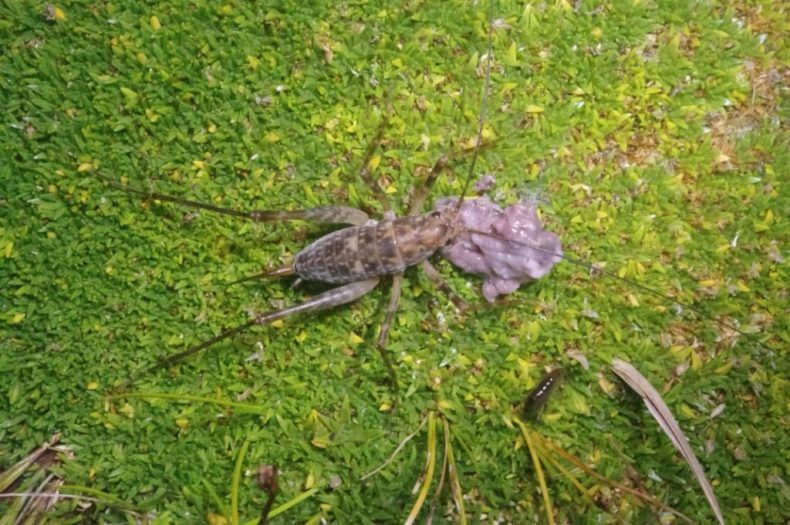 Within the Auckland Islands these include an endemic weta, and three large weevil species. None of these species have been recorded on the main island, where mice remain present. We also failed to find the weta on Enderby Island. 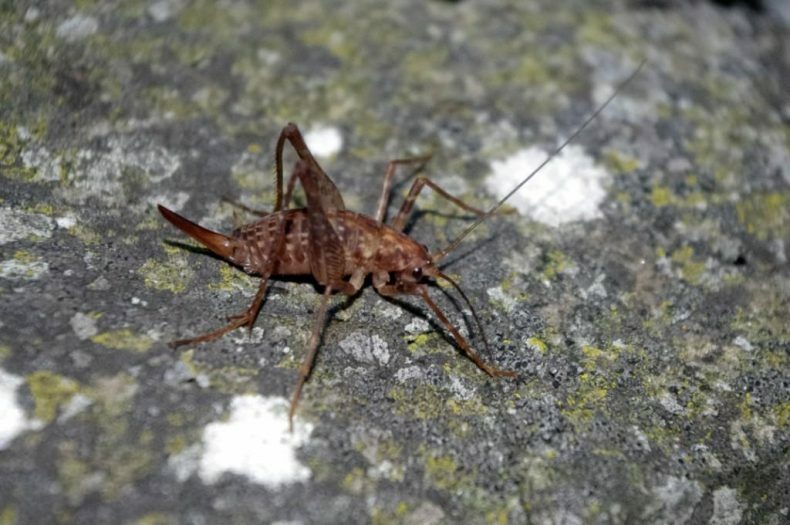 In contrast, weta were abundant on nearby Ewing and Shoe Islands. 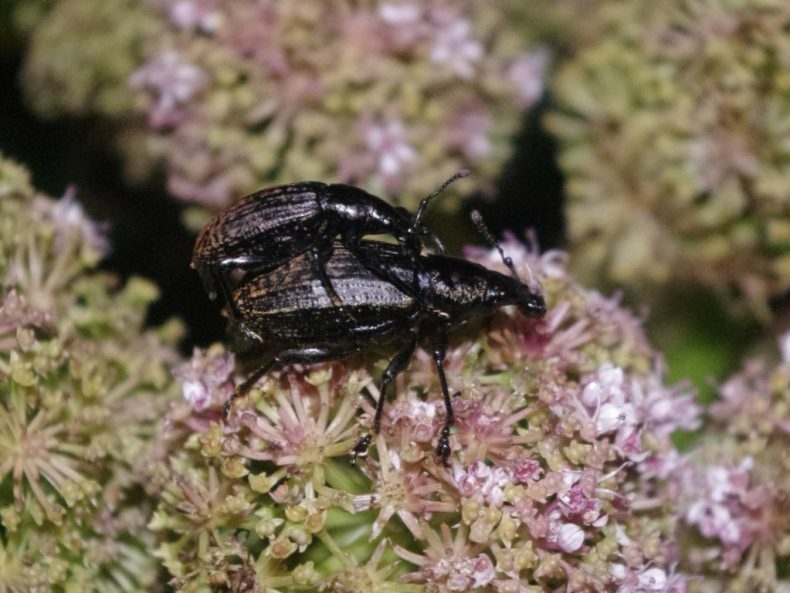 The large weevils were most abundant on the least modified islands, emerging at night to browse on the foliage of the spectacular megaherbs including Stilbocarpa polaris, Anisotome latifolia and Bulbinella rossii. The largest of these flightless weevils (Oclandius laeviusculus) is one of the few New Zealand insects protected under the Wildlife Act. But this affords no protection from pigs, cats, or mice. 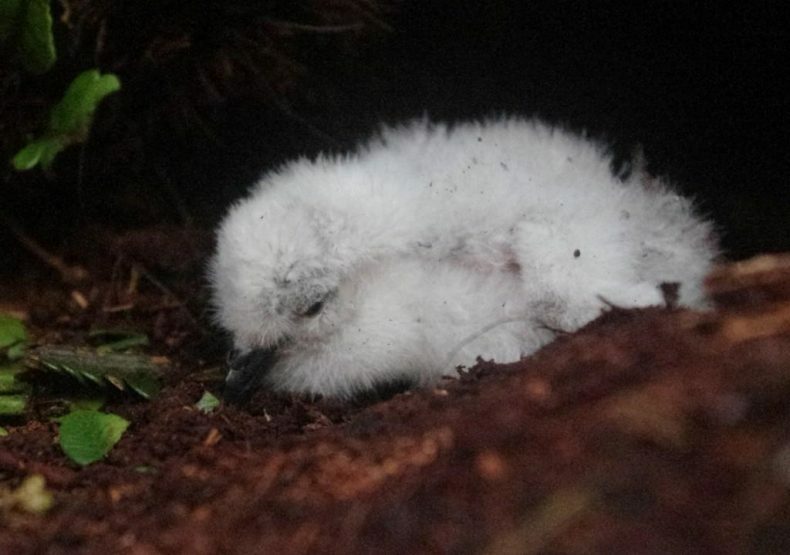 The Auckland Islands originally held at least ten species of burrow-nesting petrels. 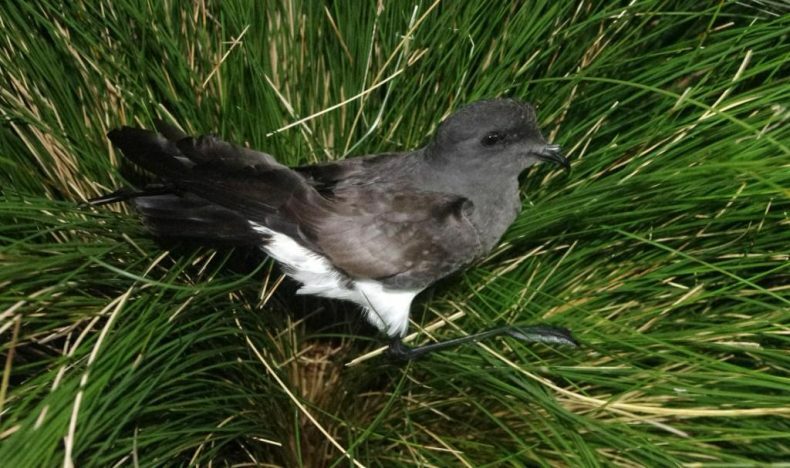 However, the Southern Georgian diving petrel disappeared following habitat modication by rabbits and sea lions, and there have been few recent reports of white-faced storm petrels. The most abundant and diverse petrel communities that we encountered were on Disappointment and Ewing Islands (each with seven species), while even Shoe Island at less than 0.5 ha had at least four species. 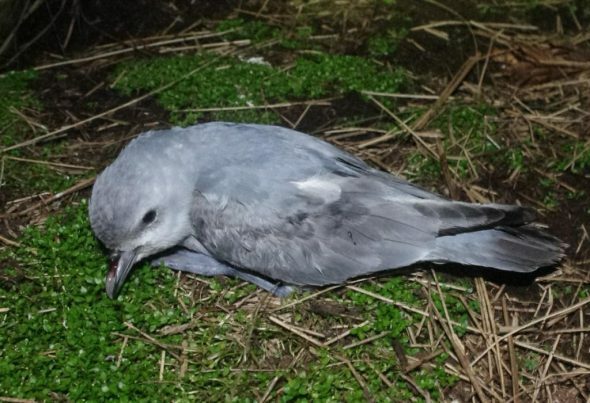 Several of the smaller petrel species had received scant attention from previous visitors to the islands, and as a result we confirmed new breeding localities for both black-bellied storm petrel (Enderby and Rose Islands) and fulmar prion (Disappointment Island). With thanks to the Department of Conservation for permission to land on islands within the Auckland Islands Nature Reserve, and the crew of Evohe for safely getting us on and off the islands. Thank you for an interesting and informative article. I appreciate the hard work and effort you and the team put into researching and photographing the incredible varieties of birds and other fauna on these remote and isolated islands. A tremedously valuable contribution to the continued welfare and knowledge of our planet. Well done! Thanks, Colin. Your blogs are always interesting and informative, and this issue is great, almost like being there! Are any land birds present on the smaller islands (Rose, Ewing, Shoe)? What a lively night life there is down there. As always, Colin, much enjoyed what you said, the way you said it and, of course, your photos are great.